Burn How Garden House Hotel015394 46226work015394 47000fax Country House HotelThe unique Burn How Hotel has individually designed rooms set in the privacy of our gardens. 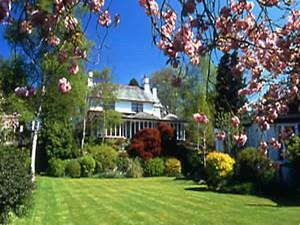 An oasis in the middle of bustling Bowness but only a 2-minute stroll to the village or lake Windermere. We have a choice of traditional rooms, 4-poster rooms and garden chalet rooms. All rooms have their own individual adjacent parking space, most have private sun balconies and all are en suite with TV, hot beverages, iron and ironing board and hairdryer. Our rosette-award winning restaurant overlooks the mature gardens and satisfies a multitude of tastes, the restaurant serves between 18.30 and 20.30. Check-in after 15.00 and check-out at 11.00. Burn How Garden House Hotel sometimes limits bookings to 3 or more days. Garden room chalet - ground floor. Can be twin or double room. Own parking space, quiet with balcony. garden chalet sometimes limits bookings to 3 or more days. From M6 leave at jct 36, take A590 and then A591. Leave the A591 at Windermere village and follow signs for Bowness Bay and the Lake. After passing through Bowness village centre the lake appears on your right. Continue on the main road for 200 metres and take the first left turn. The hotel entrance is at this junction. We are situated between the Belsfield and the Burnside Hotel. Staff and food excellent in all respects. Disappointed that only double bed available - not good enough for tall people. Room needed a handyman to fix a bathroom door that did not close properly, a wardrobe door that was out of alignment and to put a bulb in the outside light. It should not need a guest to notice these things but they are all that stood between me saying that it was excellent.